In this article, Jason Westland shares 5 things that will help you start projects in a professional, organized way. If you?ve been asked to run a new project, congratulations! This is a great time. It?s an opportunity to set things up how you want them from the beginning, and potentially to meet some new people on your project team. And, of course, you?ll learn plenty of new things from any new project about project management and different areas of your business, even if you have some experience already. 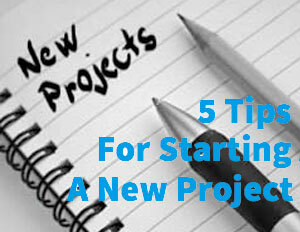 Here are 5 tips to bear in mind when you start your new project. A Project Charter sets out what the project is going to achieve. It also provides some information about how the team is going to achieve the project objectives, even if it is pretty high level. Your Project Charter may be written by you, or it may be put together by someone else, but either way it?s best to get hold of the document as soon as you can to ensure that you have a full understanding of what you are being asked to do. The document should include the project?s aims, objectives, any measures for success, a high level plan with some milestones if these are already known, a brief roles and responsibilities matrix for the team, and a high level estimate of the budget. You can also include reference to any internal or project management standards, policies, processes or methods that you will be using. All the key stakeholders (at least, those you know about at the moment) should agree to the contents and the project sponsor should approve the document. That?s the first step in getting your project underway. You can?t complete your project without a team! Your project sponsor may already have some ideas about how you should acquire the team, and you may also be able to influence the process by selecting the best candidates from the available resources. In an organization where you don?t have complete control over the project team members, you may need to negotiate with other managers. They would have to make their staff available to your project on a full- or part-time basis. Even if you aren?t at a point to acquire your team yet, you can start thinking about what specialist skills will be needed and how you can get them. Also consider all the different business areas and think about how each of them will be represented, if necessary, on the team. 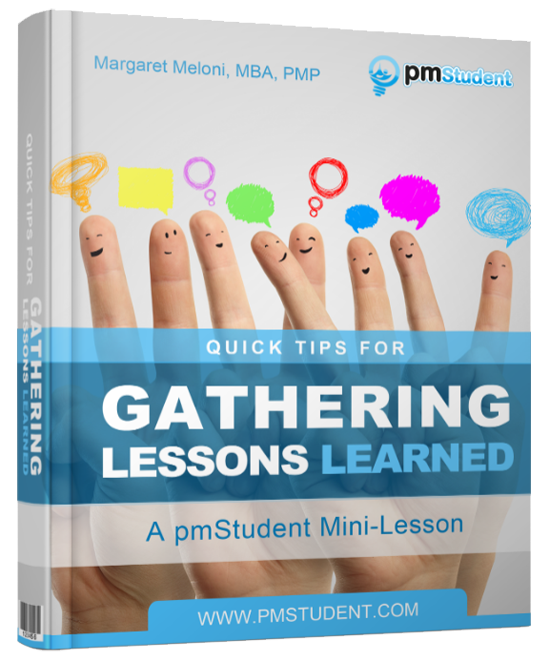 Once you know who will be on the team, get them together for an initial meeting. This is an opportunity to introduce people to each other and also to ensure that everyone has the same understanding of the project?s goals. You should also go through the roles and responsibilities for each team member, so that everyone is clear about who is doing what, and who to go to for expertise in any area. 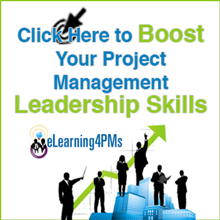 Include yourself in this, so that they know what your role is and what a project manager does! You can either draft your project schedule as part of your initial kick off meeting or as a separate discussion, but quite early on in the project you?ll need a clear idea of the tasks and plan. You won?t be able to put this together yourself as there is no way that you?ll know the detailed tasks for every area, so you?ll have to do this with input from the rest of the project team. Of course, there are some tasks that are similar for each project and that you can add to the schedule yourself, such as key dates for reporting, the overall structure of the phases and tasks that you know have to happen, such as software testing. You can then get the team members to flesh out these umbrella activities into more detailed tasks. A risks and issues log is where you will capture all the problems and potential problems that will hit your project. Again, you?ll need input from your team to populate this. The log should include a brief description of the risk or issue as well as what you are planning to do about it. You?ll also want to record the name of the person who is owning the action plan so that you know who is responsible for addressing the problem. You may have some issues already, and you will certainly have some risks. Talk to your team about their concerns and any problems that they already know about. Then you can add these to your log. Remember to maintain the log regularly, updating the status and adding new issues and risks as they occur. You can also close issues and risks that have passed so that you don?t end up with too many to manage on the list. There are lots of things to do when you start a new project, but these are the 5 things that will help you start in a professional, organized way. Refer to your project management standards for other things that you should be doing during the project initiation stage, or talk to other experienced project managers if you have any concerns. Above all, enjoy it! This is the planning and organizing stage, which is a great time, and the very fact that you have been asked to manage this work shows that your management has confidence in your abilities. So good luck! Jason Westland is CEO of ProjectManager.com, an online project management software company. He?s also the author of The Project Management Life Cycle. You can find him on Google.